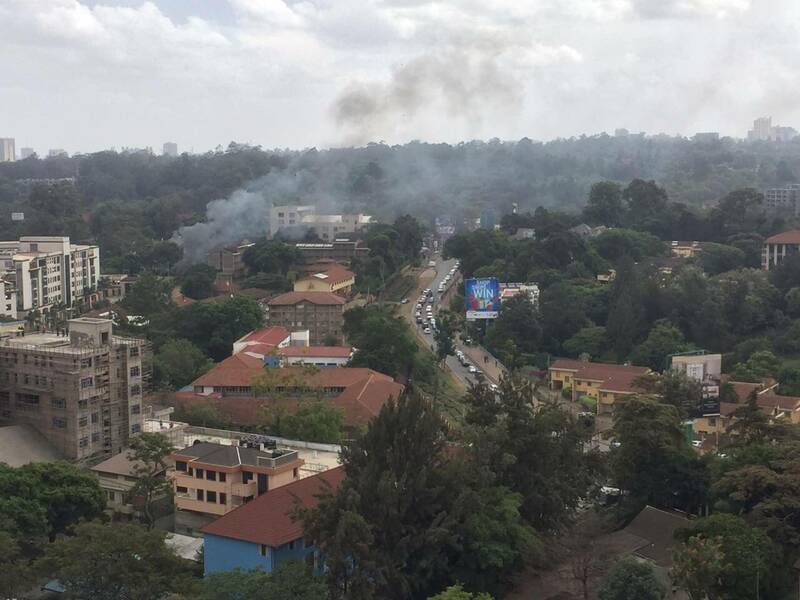 Nairobi Blast and Explosion- A suicide bomber blew himself at Private gardens, Kills several - Bana Kenya News, Real African Network Tubanane. A suicide bomber blew himself in a secret garden closer to GenaAfrica offices today. More terrorists came in with vehicles adding up as they were shooting at people. The terrorist backup came in with Vehicles shooting and still on the grounds as anti-terror were still unaware of what was happening in the Israelite owned Dusit Riverside Hotel. People trapped inside the buildings report of incessant shootings with many taking to social media to say they are holed up in several of the adjacent buildings. Many others reported of an active shooter in one of the buildings. Some people were injured and Majority killed due to the blast and the gunshots as alleged by a witness.